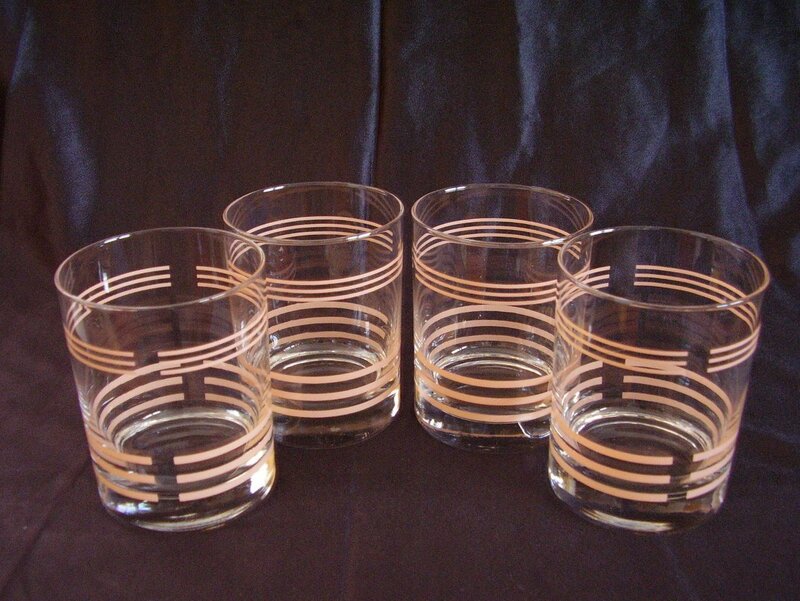 A set of 4 old fashions or rocks beverage or drink glasses. These glasses are all new, never used and in mint condition. We picked these up as they are a perfect match for the Fiesta Apricot glaze. 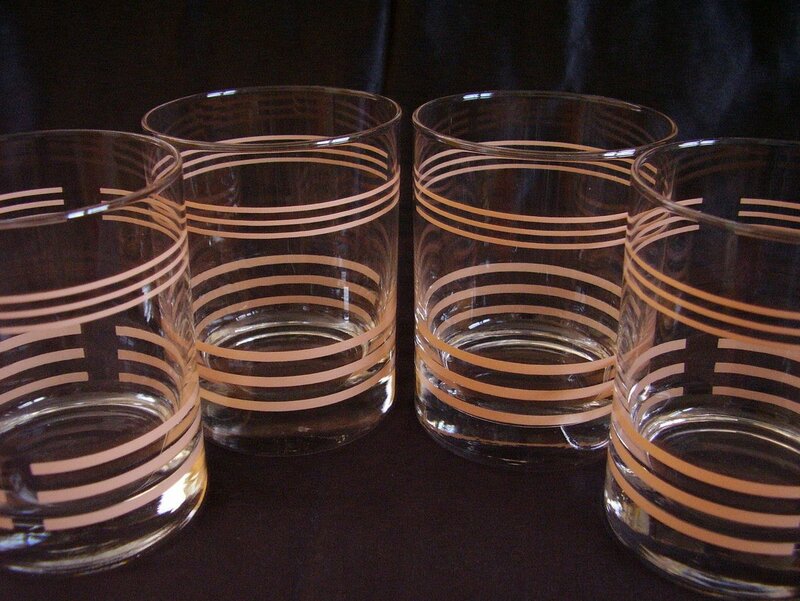 A set of 4 old fashions or rocks beverage or drink glasses. These glasses are all new, never used and in mint condition. We picked these up as they are a perfect match for the Fiesta Apricot glaze. 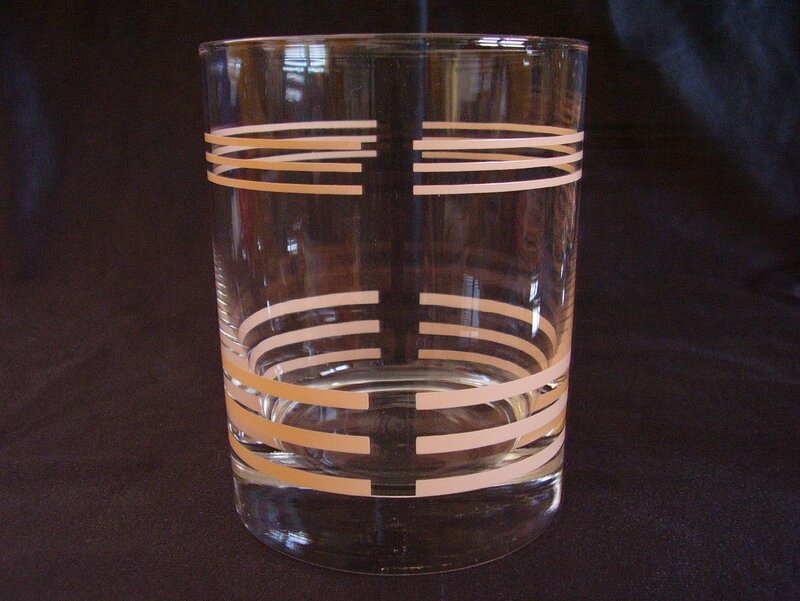 Each glass is 4 1/8 inches tall and 3 1/4 inches in diameter. Each glass holds 8 oz. 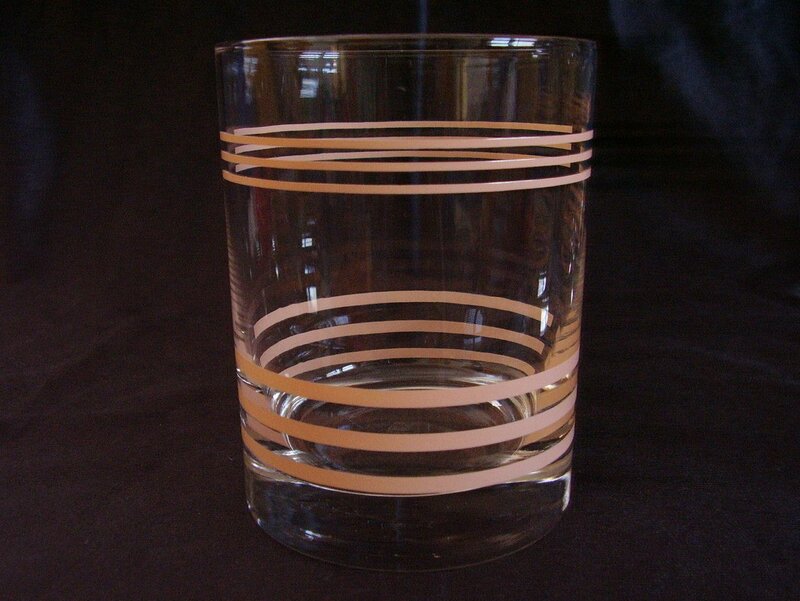 To be honest we can't remember the maker of these glasses, they are a nice thickness and have the good thick bottom. This is the only set of old fashion or rocks glasses that we have left.